Underinsured/Uninsured Motorist Insurance Coverage is the most important insurance on your car that you can carry. In NJ, besides basic auto policies, all auto policies are required by law to have underinsured/uninsured motorist coverage in the minimum amount of $15,000 per person/$30,000 per accident. This minimal coverage is not enough. If you want to protect yourself and your family you should increase your limits of uninsured/underinsured motorist coverage. Uninsured motorist insurance coverage under your own policy is for when a person who has no insurance causes an accident with you. 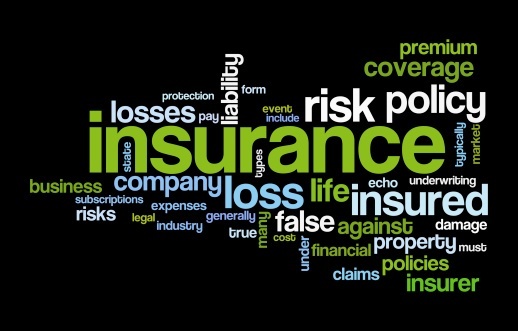 If this occurs, you then pursue your own policy for the damages caused by that uninsured person. Uninsured motorist insurance also covers the situation of the hit and run driver where you are never able to identify the vehicle that hit you - the phantom vehicle situation. Underinsured motorist insurance coverage is where someone hits you that does not have adequate insurance to cover the full amount of damage or injury caused. This is probably the most important auto insurance you can have because the vast majority of those driving on the roads do not have adequate insurance to cover accidents or injuries caused by negligent driving. Liability coverage under your own policy is important, but it does not protect you if someone without enough insurance hits you. If someone with only $15,000 in insurance hits you and permanently injures you, this will not be enough to take care of you and your family. If, however, that same person hits you and you have another $500,000 in underinsured motorist coverage, then you at least have that extra cushion of money to protect you and your family. A minimum of $500,000 in uninsured/underinsured motorist coverage is highly recommended, and I actually carry more for myself and my family. (2) an amount or limit, subject to such limit for any one person so injured or killed, of $30,000.00, exclusive of interest and costs, on account of injury to or death of more than one person, in any one accident, under provisions approved by the Commissioner of Banking and Insurance, for payment of all or part of the sums which the insured or his legal representative shall be legally entitled to recover as damages from the operator or owner of an uninsured motor vehicle, or hit and run motor vehicle, as defined in section 18 of P.L.1952, c. 174 (C.39:6-78), because of bodily injury, sickness or disease, including death resulting therefrom, sustained by the insured, caused by accident and arising out of the ownership, maintenance, operation or use of such uninsured or hit and run motor vehicle anywhere within the United States or Canada; except that uninsured motorist coverage shall provide that in order to recover for non-economic loss, as defined in section 2 of P.L.1972, c. 70 (C.39:6A-2), for accidents to which the benefits of section 4 (C.39:6A-4) of that act apply, the tort option elected pursuant to section 8 (C.39:6A-8) of that act shall apply to that injured person. All motor vehicle liability policies, except basic automobile insurance policies, shall also include coverage for the payment of all or part of the sums which persons insured thereunder shall be legally entitled to recover as damages from owners or operators of uninsured motor vehicles, other than hit and run motor vehicles, because of injury to or destruction to the personal property of such insured, with a limit in the aggregate for all insurers involved in any one accident of $5,000.00, and subject, for each insured, to an exclusion of the first $500.00 of such damages. b. Uninsured and underinsured motorist coverage shall be provided as an option by an insurer to the named insured electing a standard automobile insurance policy up to at least the following limits: $250,000.00 each person and $500,000.00 each accident for bodily injury; $100,000.00 each accident for property damage or $500,000.00 single limit, subject to an exclusion of the first $500.00 of such damage to property for each accident, except that the limits for uninsured and underinsured motorist coverage shall not exceed the insured's motor vehicle liability policy limits for bodily injury and property damage, respectively. . . . The New Jersey injury attorneys at our firm are happy to discuss your NJ uninsured/underinsured motorist insurance questions for free. Contact us online for a FREE Consultation or give us a call at 973-870-0434.